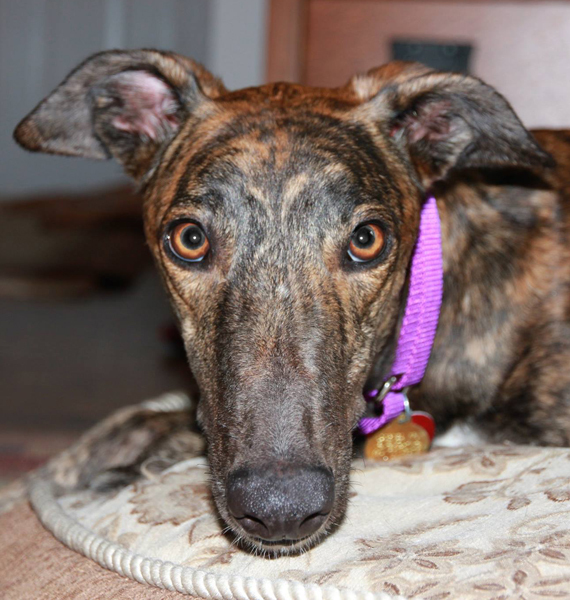 Sweet is a dark brindle girl that weighs 66lbs. She just turned 2 on April 22nd. Her sire is the very famous Kiowa Sweet Trey and her dam is Tailteann Lady. We placed her mom's sister, Tailteann Kerry too! Sweet raced just 18 races at Sanford Orlando Race Track but only won two of them. She was moved to Daytona Beach Race Track but has no races listed there. She seems like a sweet, friendly girl.